The system consists of PV modules, ground-mounting systems, DC cables, DC string boxes, central inverter with a transformator. The system is designed to be connected to the grid. 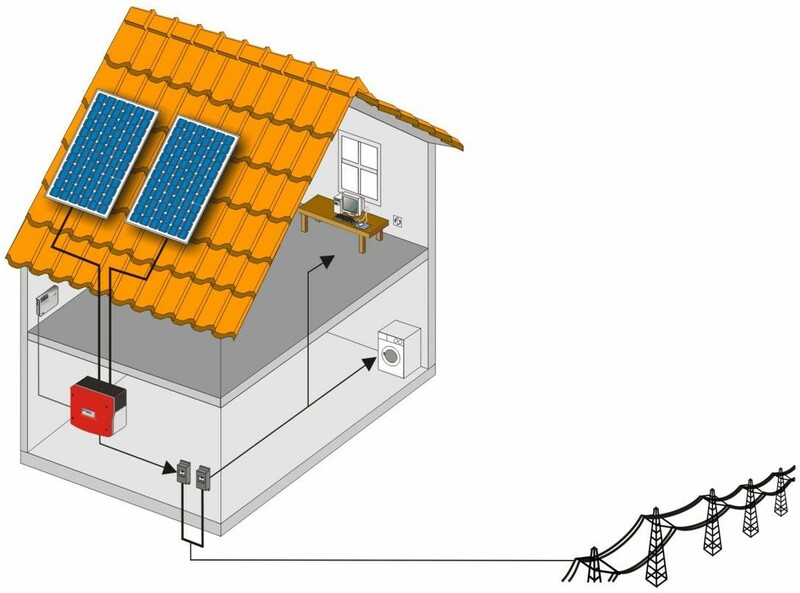 A grid-connected photovoltaic power system, or grid-connected PV system is an electricity generating solar PV system that is connected to the utility grid. 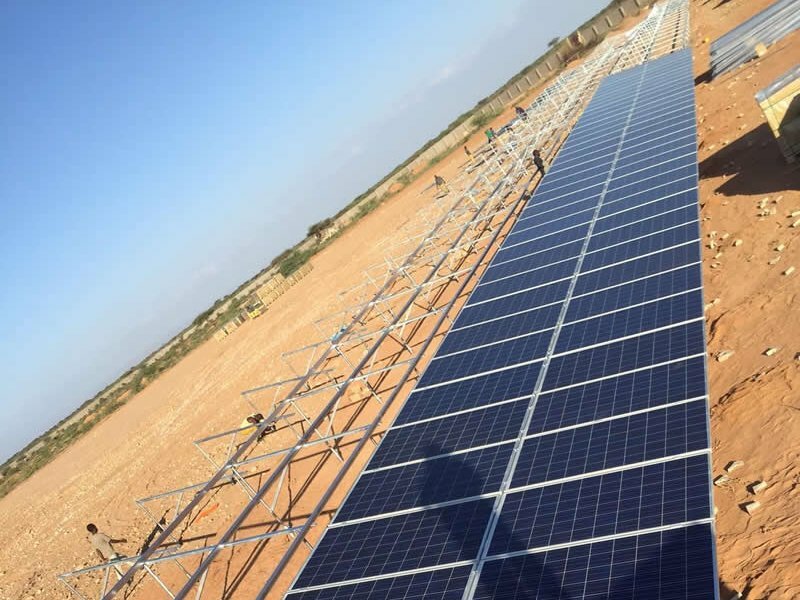 A grid-connected PV system consist of solar panels, one or several inverters, a power conditioning unit and grid connection equipment. They range from small residential and commercial rooftop systems to large utility-scale solar power stations. Unlike off-grid systems, a grid-connected system rarely includes an integrated battery solution, as they are still very expensive. When conditions are right, the grid-connected PV system supplies the excess power, beyond consumption by the connected load, to the utility grid. Residential grid-connected photovoltaic power systems which have a capacity less than 10 kilowatts can meet the load of most consumers. They can feed excess power to the grid where it is consumed by other users. The feedback is done through a meter to monitor power transferred. Photovoltaic wattage may be less than average consumption, in which case the consumer will continue to purchase grid energy, but a lesser amount than previously. If photovoltaic wattage substantially exceeds average consumption, the energy produced by the panels will be much in excess of the demand. In this case, the excess power can yield revenue by selling it to the grid. Depending on their agreement with their local grid energy company, the consumer only needs to pay the cost of electricity consumed less the value of electricity generated. This will be a negative number if more electricity is generated than consumed. Additionally, in some cases, cash incentives are paid from the grid operator to the consumer. Solar energy gathered by photovoltaic solar panels, intended for delivery to a power grid, must be conditioned, or processed for use, by a grid-connected inverter. This inverter sits between the solar array and the grid, draws energy from each, and may be a large stand-alone unit or may be a collection of small inverters, each physically attached to individual solar panels. See AC_Module. The inverter must monitor grid voltage, waveform, and frequency. One reason for monitoring is if the grid is dead or strays too far out of its nominal specifications, the inverter must not pass along any solar energy. An inverter connected to a malfunctioning power line will automatically disconnect in accordance with safety rules, for example UL1741, which vary by jurisdiction. Another reason for the inverter monitoring the grid is because for normal operation the inverter must synchronize with the grid waveform, and produce a voltage slightly higher than the grid itself, in order for energy to smoothly flow outward from the solar array. Islanding is the condition in which a distributed generator continues to power a location even though power from the electric utility grid is no longer present. Islanding can be dangerous to utility workers, who may not realize that a circuit is still powered, even though there is no power from the electrical grid. For that reason, distributed generators must detect islanding and immediately stop producing power; this is referred to as anti-islanding. In the case of a utility blackout in a grid-connected PV system, the solar panels will continue to deliver power as long as the sun is shining. In this case, the supply line becomes an "island" with power surrounded by a "sea" of unpowered lines. For this reason, solar inverters that are designed to supply power to the grid are generally required to have automatic anti-islanding circuitry in them. Passive: The voltage and/or the frequency change during the grid failure is measured and a positive feedback loop is employed to push the voltage and /or the frequency further away from its nominal value. Frequency or voltage may not change if the load matches very well with the inverter output or the load has a very high quality factor (reactive to real power ratio). So there exists some Non Detection Zone (NDZ). Active: This method employs injecting some error in frequency or voltage. When grid fails, the error accumulates and pushes the voltage and/or frequency beyond the acceptable range. 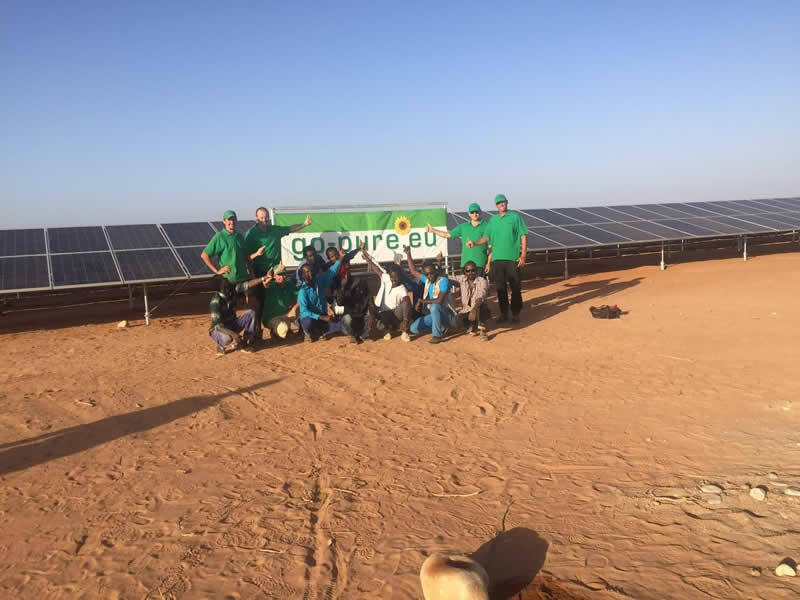 A grid-connected photovoltaic power system will reduce the power bill as it is possible to sell surplus electricity produced to the local electricity supplier. 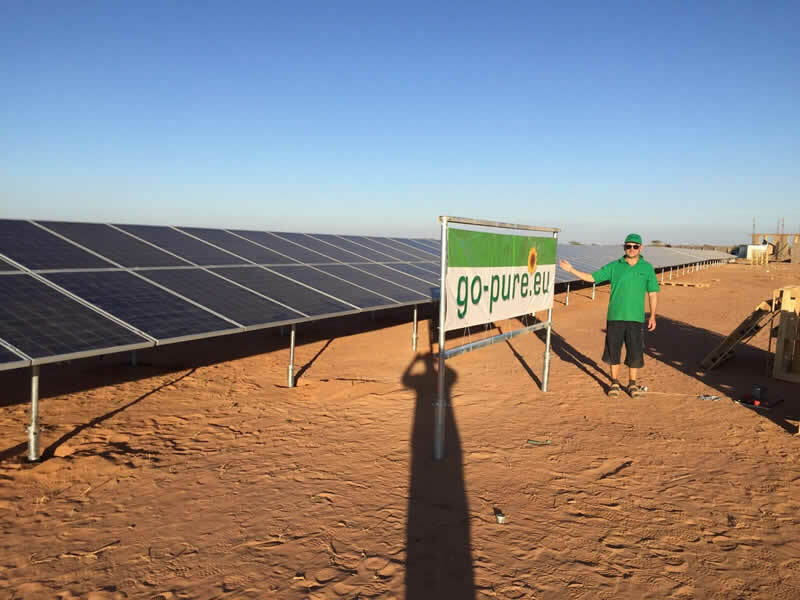 Grid-connected PV systems are comparatively easier to install as they do not require a battery system. 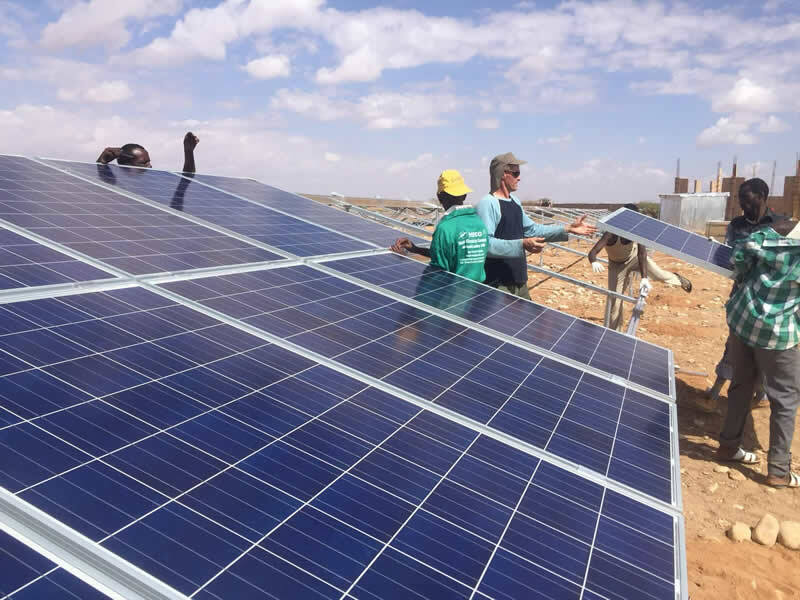 Grid interconnection of photovoltaic (PV) power generation systems has the advantage of effective utilization of generated power because there are no storage losses involved. A photovoltaic power system is carbon negative over its lifespan, as any energy produced over and above that to build the panel initially offsets the need for burning fossil fuels. Even though the sun doesn't always shine, any installation gives a reasonably predictable average reduction in carbon consumption.